Succession Planning For Family Owned Businesses – Are Valuation Discounts Doomed? 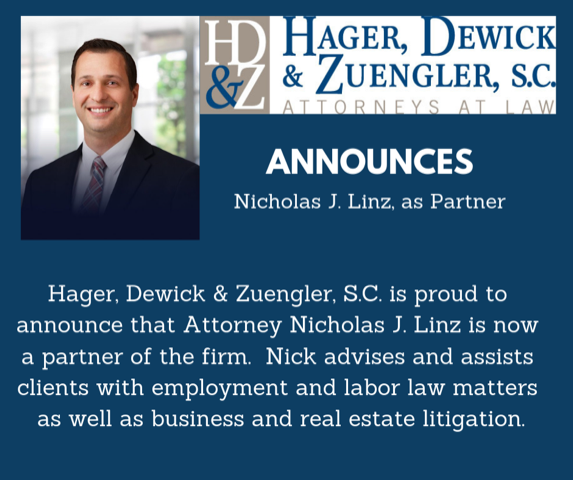 By: Matthew C. Zuengler, Attorney at Hager, Dewick & Zuengler, S.C.
Family owned businesses, including farms and real estate entities, are often structured, in part, so that ownership can be transferred from generation to generation in the most tax efficient way possible. Use of an entity (such as a Family Limited Partnership (FLP) or Limited Liability Company (LLC)) has been attractive, in part, because of the ability to make gifts, bequests or transfers of interests in the entity at a reduced transfer tax cost, due to valuation discounts. Historically, the value of an interest in an entity is based on what a hypothetical willing buyer would pay a hypothetical willing seller for such interest. As part of this equation, the value of a minority interest in an entity was discounted by the hypothetical buyer to reflect the buyer’s inability to readily resell the interest (lack of marketability discount), as well as the buyer’s inability to participate in the management and control of the entity (lack of control discount). The recently released proposed regulations, if finalized, seek to significantly alter the valuation equation by eliminating valuation discounts for intra-family transfers of interests in such entities for gift and estate tax purposes. Congress previously enacted legislation in 1990 in an effort to minimize the use of valuation discounts for intra-family transfers of entities. However, as is the case with many tax laws, the closing of one door opened another. States changed their laws, additional interpretative guidance was issued and tax court cases provided a road map to allow planners to navigate the evolving tax laws to still achieve valuation discounts. Following is an example illustrating the power of valuation discounts under the existing law: Mom and Dad create an FLP and contribute $8,000,000 of real estate to the FLP. Mom and Dad gift 45% of the FLP to their child and have a valuation prepared to determine the value of the gift. Since the valuation expert is valuing the interest in the FLP that was gifted, the valuation expert needs to take into consideration lack of control and lack of marketability. If a 33% discount is appropriate, Mom and Dad are able to remove $3,600,000 of underlying value at a transfer valuation of $2,400,000 ($4,000,000 – ($4,000,000 x .33)). This results in an estate and gift tax savings of $480,000 ($1,200,000 x .40) at current rates. The IRS has fought and continues to fight the valuation battle. Up to the issuance of the final regulations, this battle will generally be defined in terms of how much of a discount is appropriate under the circumstances. On August 2, 2016, the U.S. Department of Treasury issued proposed regulations that are designed to specifically eliminate valuation discounts for transfer tax purposes in the context of family owned entities. Prior planning typically included restrictions on voting and liquidation rights that were placed on the interests being transferred to family members. In addition, state law default restrictions (e.g., Wisconsin does not allow a limited partner to unilaterally withdraw from an FLP) were taken into account for purposes of valuation. For example, the recipient of a limited partner interest has no vote, cannot direct when distributions are to take place and cannot force the FLP to liquidate and distribute assets to the partners. The proposed regulations require that many of these restrictions are ignored for valuation purposes. Treat each owner of an interest in a family controlled entity as having a mandatory “put” right to obtain a proportional share of the entity’s net asset value. For example, a 20% ownership interest in an entity worth $10,000,000 would be valued at $2,000,000. Ignore restrictions (including what state default law provides) on the ability of the owner, including limited partners, to liquidate his or her interest. Recapture the value of a lapsed liquidation or voting right associated with an interest transferred within three years of the death of the transferor. Despite these restrictions being real and legally enforceable, they are treated as non-existent for transfer tax valuation purposes, despite these restrictions having importance for non-tax purposes. Interestingly, two similarly situated businesses are treated dramatically differently if one is deemed family owned and the other is not. Valuation discounts for lack of control and marketability are entirely appropriate is both contexts, however, they will not be recognized in the family owned scenario. The proposed regulations are not effective until they are issued as final regulations. A public hearing is set for December 1, 2016 and the final regulations may be issued anytime thereafter. Accordingly, a window exists for family owned entities to utilize existing techniques to achieve significant transfer tax savings through properly structured entities and a timely executed plan.